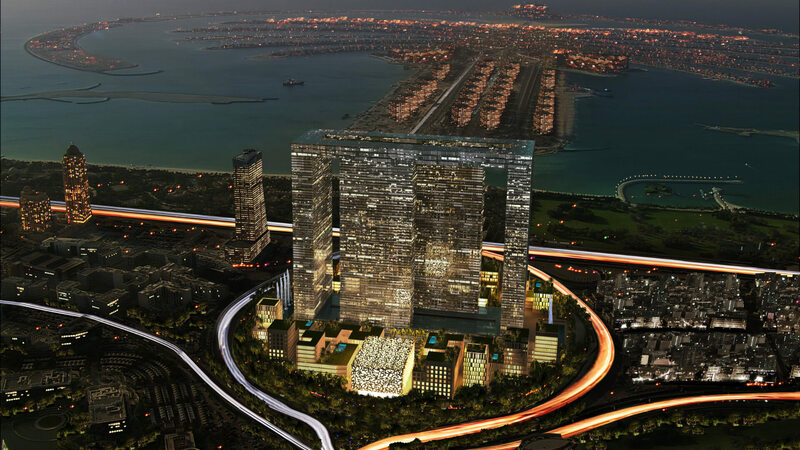 The Dubai Pearl, a twenty-million square feet project, stands on the edge of the Dubai Media and Technology Free Zone and overlooks the Palm Jumeirah. The project’s integration with the urban community is part-in-parcel with the overall combined concepts of convenience, luxury, sustainability and technology. The project consists of four 74-story towers, connected at the top by long span steel trusses hosting most prestigious part of the project (Sky Palace), by action of the trusses the towers achieve their lateral stability. The towers are designed with temporary supports until construction of the Sky Palace. Two vertically inclined trusses and two horizontal trusses are connecting the towers together to maintain the towers’ lateral stability during construction. e.construct’s value engineering and alternative construction methodologies resulted in cost-savings of over 110 Million USD for the Client.